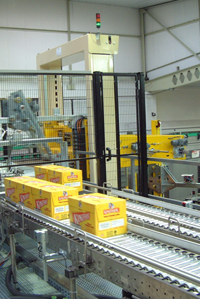 For easy transport and distribution most consumer goods are now palletised. Enterprise Tondelli can palletise a wide variety of products. Depending on the line configuration, speed required, space available Enterprise Tondelli will supply either low or high level pack palletisers. 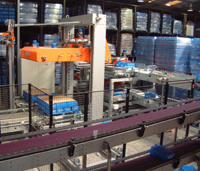 Generally a low level pack palletiser has the advantage of easier operator access but involve more machine movement. This also has an impact on the speed. 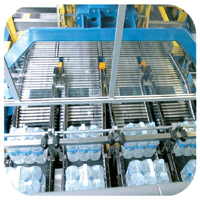 The high level machine tends to occupy less space and in some respects is simpler but it depends also on the line configuration.